In some European cultures the Badger is revered as a warrior spirit and known for their fierceness, strength and hardiness. In some Native American cultures it is said that the Badger is an ancient earth spirit and features in many old stories as a great hunter that carries darkness on his back. 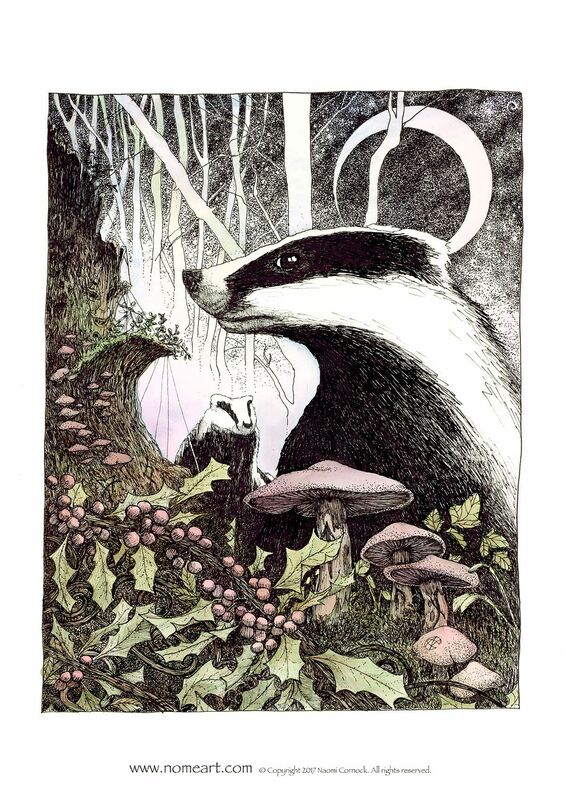 The Badger is also often associated with the Holly tree, as both tree and animal are symbols for endurance and survival in the harshest of conditions. The badger is fierce, persistent and determine it would rather die than give up. Badgers have fighting spirits, unyielding in the face of danger and are as tenacious as they are courageous. The badger will teach you to fight for your rights and defend your spiritual ideals. To Badger I ask, guide me to where my strength lies, so I can fight on when I must.